UK – Have you seen it? If you are going to watch a film about Oliver Twist, this beautiful black and white 1948 re-telling of the Charles Dicken’s story by David Lean is the one to watch. The story follows the well-known, beautiful tale of sweet Oliver Twist, played by John Howard Davies, who is an orphan boy born in the workhouse that his mother stumbled into before she dies after giving birth to him. Years later, after drawing the short straw and asking for seconds of gruel at dinner time (the legendary line, “Please, Sir, can I have some more?”), Oliver Twist is sold to work with a coffin maker and undertaker before escaping and running away on a 7 day journey to London. London is where he bumps into The Artful Dodger and gets swept into a life of pick-pocketing with a group of other orphan boys in order to keep a roof over his head with the old man Fagin who leads the group. Prior to seeing Oliver Twist, I’d only seen Carol Reed’s 1968 version Oliver!. That version is a musical and is the one that immediately comes to most people’s mind when you think of on-screen Oliver Twist. I’m very pleased to have discovered this older version as it’s interesting and refreshing to see such a superb production of the story as it was supposed to be seen without the singing and dancing. Oliver Twist is perfect if you aren’t keen on musicals and David Lean’s film is the best way to see it. Having the correct lightining is critical to black and white films and an art form in its own right. There’s something really special and magical about the lighting throughout Oliver Twist, indoors and outdoors (on an indoor set) with candles, lamps, carefully positioned shadows and even the lightening in the first stormy scene. It makes the film stand out on the screen and gives beautiful, dramatic shots to set the scenes in this motion picture and let’s David Lean’s top directing skills shine through. I am excited to see what else he has to offer in his first Charles Dicken’s retelling of Great Expectations which was made few years prior to Oliver Twist. Oliver Twist has a 100% rating on rotten tomatoes compared to the various remakes which are not so well received but still highly rated in relation to other similar films. This one is basically perfect. Lean has created a truely wonderful film that I can’t fault. This 1948 version is a must see for fans of the story or classic literary tales. The story is an emotional rollercoaster but a memorable experience told in a wonderful visual way. There are happy moments and sad moments and you only want the best for lovely young Oliver. It gets top marks from me and the only visual telling of this classic which still makes an impression today. It is entirely deserving of being one of the top British films of all time. 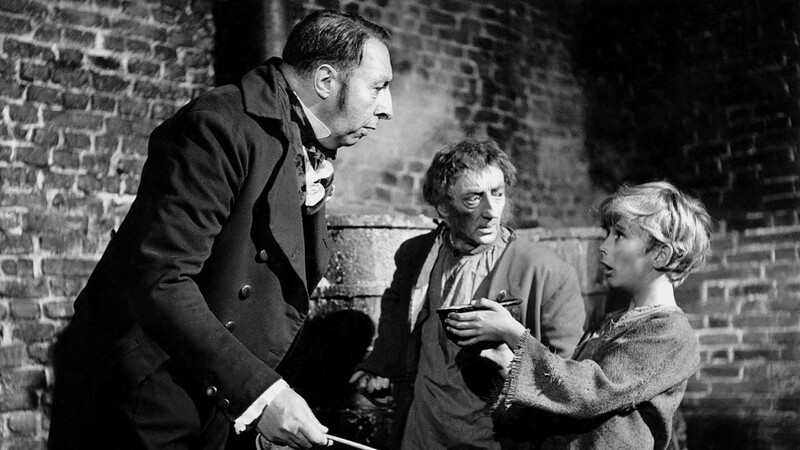 Oliver Twist is available on Amazon Prime for your enlightenment if you haven’t seen this film before or wish to see it again, which you should. It is a truely stunning translation of the literary classic which no other version has matched up to yet. I’ve been trying to put my finger on why this film is considered such a great film. Raging Bull, by Martin Scorsese, is the tale of a boxer struggling with internal demons. I have a black belt in kick boxing so I am fascinated by how boxing is featured in this film, and how it has changed since those days. It’s no longer about beating each other to a pulp like it is portrayed in the film, but there’s more to it in this film. The sport reflects the protagonist, Jake La Motta’s life and personality. Jake la Motta, played by Robert De Niro, is a massive antagonist. He has a terrible home life, he beat his first wife and cheated on her. He then married this new woman, Vikki, but his home life is still rife with domestic violence, suspicions and anxiety. He is a bully and is constantly paranoid that his wife is cheating on him and at one point is convinced that she is having an affair with his brother, Joey. Jake is also under the influence of the new york mob just to add to his multitude of personal issues. He is a top professional boxer but isn’t satisfied with his life and has a lot going on in his head. Someone with his amount of anger really should not be a boxer and that much is obvious in the film. He uses it as his way of dealing with his life, it gives his life meaning. By some miracle his wife stays with him throughout it all, which is crazy and seems unrealistic to me, but I guess that’s how it sometimes is in these sort of relationships. They still love each other beneath all the terrible day-to-day goings on in their life. Their first date scene is really beautiful and you get a glipse of what Jake could be like if he wasn’t so angry, violent and paranoid. It is scary though that that is probably the man Vikki fell in love with and the hope of maybe seeing him again is what is keeping her with Jake. The iconic shot of Jake in the boxing ring shadowboxing in slow-motion at the start of the film when the opening credits start rolling in is really fabulous. We had to go back to the start and watch it again after finishing because we wanted to see it again! It gave me the shivers – it’s really haunting! The boxing match against Sugar Ray, in the middle of the film, where the mobsters bet on him losing is the turning point of the film and of Jake’s life. Jake get’s beaten to a pulp. It’s insane how realistic the fight scenes are. If you don’t like violence, defintely don’t watch this film! In a way it kind of symbolises where he’s got to in his life. After this point Jake gives up fighting and opens his own club. Through his new club he ends up getting into trouble with underage girls, so his life doesn’t get better after quitting fighting, and he still has problems at home with his wife and his brother doesn’t want to know him. At the start of the film, I didn’t even recognise Robert De Niro, which is him at the end of the film. De Niro famously gained loads of weight for this part of the movie. The latter part of the film, 30 years later, is so convincing, he genuinely looks much older and more mature. After seeing him at the end, the film comes full circle and the poem he reads at the start makes sense, a really beautifully shot scene. Jake is above all, a really sad, unhappy man, and he still is. Martin Scorsese’s artistic decision to film Raging Bull in black and white takes you back to the 50s and I honestly forgot this film wasn’t actually filmed in the 50s. One thing I did notice, and I found it really interesting, is how much they swear. 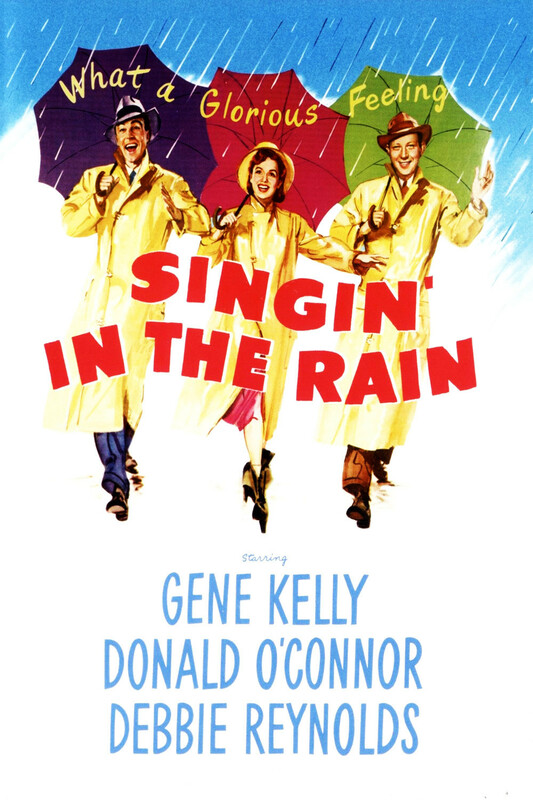 Films that were made in the 50s completely contrast to this film and show those days in a completely different light. Everyone was very well spoken and there’s no swearing, no violence and nothing terrible ever happens. Raging Bull, filmed in 1980 ruined my perception of those times. Of course I’m sure they did use this language, it was just shocking to see as it’s the first time I’ve seen a film with this perspective based during that period. The supporting actors gleam just as much as De Niro. Joe Pesci, who plays Jake La Motta’s brother and manager, Joey & Cathy Moriarty, who plays Jake’s wife Vikki. Jake’s brother has to deal with all of Jake’s crap over the years which eventually pushes him over the edge. Jake comes crawling back to try and make up with him in a public display to try and plaster up wounded sores that still gape open between them. I think it’s great how Joey stands up for himself and doesn’t allow Jake to so easily apologise. He know’s what Jake is really like and he’s had too many chances over the years. He’s screwed up too many times. I’ve not actually seen any other films starring Robert de Niro when he was younger so I am not familiar with his work. (Taxi Driver is on my ‘to watch & review’ list so look out for my thoughts on that one coming soon!). De Niro nails his role in Raging Bull and it’s uncanny how believable his character is. These sorts of films wouldn’t normally have appealed to me, but I gave Raging Bull a go due to it’s top knotch reviews and popularity. I was pleasantly surprised how much I enjoyed it. I enjoyed it in more of a thought-provoking art-form sort of way, than a film I’d watch as an enjoyable pass time. That’s something to bear in mind before you put it on for some light hearted fun – you won’t get any of that with this film! I downloaded this from Sky Cinema, but it’s also available to rent on Amazon Instant Video for £4.49. Did you enjoy it? I’ve always had this film on my radar, I’ve just never watched it. The only reason I’d not watched it was because all I’d heard about it (apart from it being amazing) is that it is really, really, REALLY sad; for obvious reasons. And I don’t deal well with sad films. So that’s a warning to anyone who is like me and can’t hold it together when something sad happens. Maybe don’t watch this film. Or Maybe just watch it once and then never again. I definitely recommend this film though, but it does come with that one warning: it’s shocking and incredibly sad. Schindler’s List is, as I’m sure you all know, is a historical drama by Steven Spielberg set during the Holocaust. There’s a man named Oskar Schindler (played by Liam Neeson), who is a factory owner and entrepreneur who realises that by keeping Jews in employment at his enamel factory he can actually create an escape route for some of them already in camps and avoid them being set to Auschwitz. He himself is a Nazi supporter but it just reinforces that not all Nazi supporters were in support of the murder of Jews. Oskar uses his wealth and power to bribe people to let him keep buying Jews to work for him. His ‘List’ being the long list of Jews he wants rescued from the camps and sent to him for work. Steven Spielberg’s decision to shoot in black and white was the best thing he could have done for this film. It makes Schindler’s List so much more harrowing than I think it would have been in colour. It feels much more real. Also the speed at which they filmed it made it even more intense and urgent. Spielberg’s amazing directing landed him an Academy Award. The majority of the movie was filmed in and around Krakow in Poland giving it that additional element of reality. One minor downside to Schindler’s List is how long it is. It’s 3 hours land 15 minutes long. I watched it in two halves because even for me I think sitting and watching a film straight for 3 hours is a bit much. There is some incredible acting in Schindler’s List. There’s no other way to describe it. In particular I want to call out Ralph Feinnes. He plays Amon Goeth, the commander of the Kraków-Płaszów concentration camp in Poland. He is one nasty piece of work and it’s really shocking to see some of things he does, says and the way he treats the Jews. It really makes you question how someone of his age could have been so brainwashed that he thought he was doing the right thing. Ben Kingsly, who played Itzhak Stern and Embeth Davidtz, who plays Helen Hirsch also deserve special mentions for their stellar performances. This film was very upsetting throughout but when it ended, I was surprised how it didn’t affect me as much as other holocaust films did, such as The Boy in the Striped Pyjamas (Dir. Mark Herman). I was trying to understand why this was. I’ve established that The Boy in the Striped Pyjamas was in the point of view of innocent, naive children, which always makes everything 10x worse. They also showed a lot more of the horrors of the concentration camps and what happened there, leading to devastating consequences. Whereas in Schindler’s List, there are a lot of shootings, but as film watchers, we do see at lot of graphic shootings in films nowadays and that’s probably nulled our senses. It’s the parts in the concentration camps that hit home about the true horrors of the holocaust. Schindler’s List skimmed over a lot of those aspects and when they started to show some of Auschwitz, certain things don’t happen that you thought might happen, or perhaps were expecting to happen. This keeps you on the edge of your emotional seat. On one hand, I’m glad they didn’t go into details as it’s not actually the main focus of this story and I may have not made it to the end of the film. But on the other hand, they did gloss over some of the real horrors that these innocent people were subjected. I think everyone should see holocaust films, even if it’s only once. We should be reminded about what happened during that time. Schindler’s List reinforces that there were people helping to save the Jews and that not everyone was on the same page. It’s important to remember that this is based on a true story and Oskar Schindler should always be remembered. Please give this a watch, it keeps his story alive. It is very deserving of its ‘Best Picture’ Academy Award. Let me know what you think. If you have Sky, Schindler’s List is currently on Sky Movies available for download at any time and it’s also part of the Amazon Prime Video subscription. The Boy in the Striped PJs is on Netflix if you have that, also a must-see. All About Eve. Where to start…. This is one of those films that my mum has ALWAYS been trying to get me to watch. “If you only watch one black and white film, Jennifer, it should be this one”. I ignored her most of my life, obviously. Mum has this on DVD and lent it to me recently for my viewing pleasure. I’d not heard anything else about it apart from that it’s listed in the AFI and BFI top 100 films of all time. So surely it must be good. I eagerly put it in the DVD player and watched it for the first time last week; my eyes have been opened. What a genuinely fantastic film. It’s 2 hours of pure enjoyment about Margot Channing, a stage actress, played by Bette Davis, who gets introduced to the young fan Eve Harrington, played by Anne Baxter, in her dressing room one evening. It’s really funny from start to finish and the 2 hours went in a flash as we were so engrossed! Eve is in awe of Margot, she goes to every one of Margot’s shows. They quickly become friends and Margot takes Eve under her wing. This whole film is definitely a whilwind of friendship, suspicions, glamourous parties, media, awards and backstage backstabbing. It even features a very young Marylin Monroe! This must have been one of her first films. Margot Channing is such a character. She’s really funny and likeable the whole way through even though she’s a bit of a diva. What I thought was truely beautiful about this film is that Bette Davis actually fell in love with the actor that plays her on screen love interest, Lloyd, played by Gary Merrill, when they were both already married. Bette and Gary actually went onto marry for 10 years. They say that Bette and Gary divorced because Gary really fell in love with the character of Margot Channing instead of Bette herself. Bette didn’t marry again after that. Anyway, back to the film, I think this film is like the original, non-thriller version of Single White Female, the Barbet Schroeder film based on the book of the same name but about a girl who will do anything to get close to a certain person and try and dislodge them from where she is in life. Without giving the plot of the film away, take from that what you will. But if you enjoyed Single White Female, you’ll enjoy this. 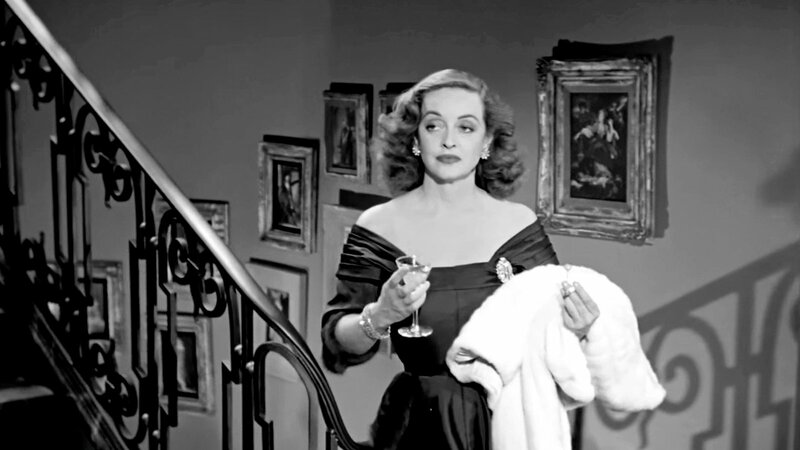 All About Eve isn’t a thriller, as I said, it’s most definitely a comedy/drama, but it has unnerving aspects about Eve, which made me keep thinking about Single White Female and made me want to watch that film again! Bette Davis really lives up to her reputation in this film as one of the grestest actressess in the history of Hollywood. She proves just how great of an actress she is with her sterling performance throughout. I hear Bette was actually quite similar in real life to her character, which I think is such a gem and probably why she’s so good in this. She lets her comic and fun personality come through into Margot. It’s based on a true story as backsage backstabbing was definitely rife in Hollywood in those days. Bette Davis, as much as I love her, was notorious for having tiffs with various other actressess. She was best pally with her on screen rival, but hated her on screen best friend. Apparently when filming this she even made a comment about how Marylin Monroe’s kitty kat voice doesn’t make up for her bad acting, which I thought was quite funny. Sadly Marylin didn’t get a huge opportuinity to showcase her acting ability, dying so young. 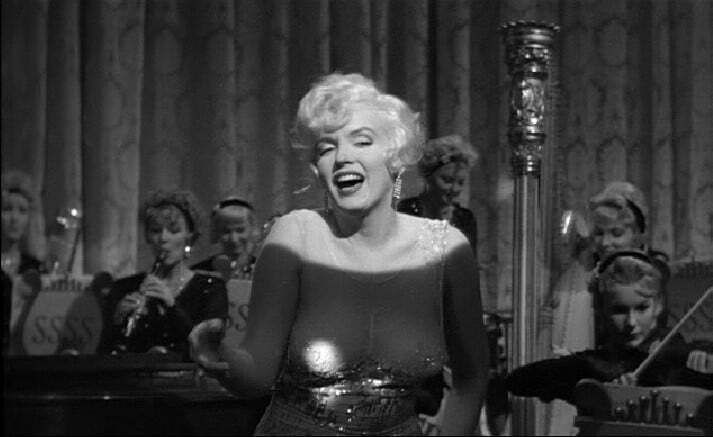 This is the first film I’ve seen her in but I’ll definitely be writing about Some Like It Hot soon so watch this space. 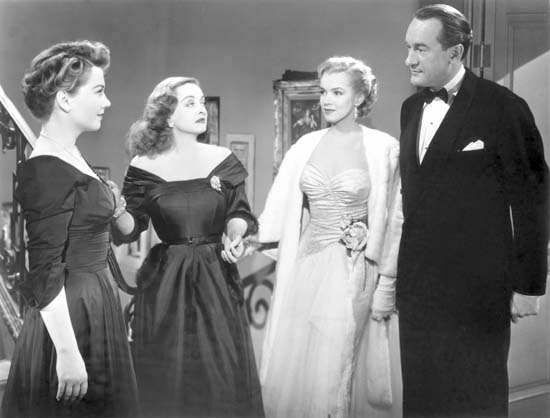 I’ve never labelled myself a feminist but I do think All About Eve, directed by Joseph L. Mankiewicz, is a very progressive film for it’s time. It’s wonderful that Bette Davis was the star in this film when she 42! That was really quite old for women in the 50s who were still acting, espcially to land such a leading role. She probably thought she was almost finished with acting but still got the part of this glamorous actress. And to think that nowadays older actressess are complaining there aren’t enough parts of older women. Also, 4 females were nominated for oscars based on their All About Eve performances. I want to see more films featuring these strong female actresses. If rotten tomatoes is anything to go by, it has 100% in the tomatometer! I’ve not seen that on many films I’ve watched before. All About Eve is truely a charm and recommended to anyone that wants some entertainment for a couple of hours. It’s old, but timeless. You honestly forget that it’s even in black and white, you get so invested in the characters. 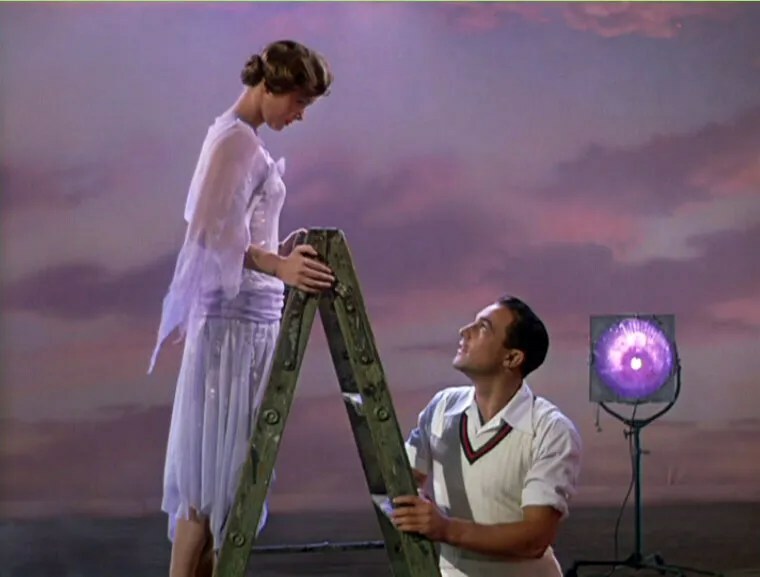 It makes me kind of wish Hollywood was still like this and made films like this: incredibly beautiful and sophisticated. It is totally deserving of the best picture Academy Award that it won in 1950. I always knew it would be good, but it gets the double thumbs up from me. All About Eve is available on DVD or can be rented from Amazon Prime Video at a steal of £3.49!! If you’ve not seen it yet, I hope this post gets you adding it to the top of your ‘to watch next’ list. Welcome to the journey I’ve set myself upon. A journey to watch as many of the worlds best films that I feel like I’ve been missing out on and documenting my thoughts and nuggets of info along the way to share with others. I’ve always had a interest in films. It’s not just watching them (although obviously an enjoyment of sitting in a cinema or in your living room on a sofa for prolongued periods of time is a prerequisite), but also how the films are made and what they’re really about beyond what you see on the surface. I honestly can’t say I know anything about critiquing films. I want to talk about them as a normal person would talk about them to their friends so that normal people can understand to or relate to what I’m saying. I want to find things about films that people may have not noticed, or thought before. And show that there is so much more to motion pictures beyond the latest block buster. I want to encourage people to watching films that they may not normally think to watch. My interest has only gained more momentum since being with my Partner, David, who I would honestly say is a lot more into film than I am – I aim to catch up as soon as possible! He used to be a teacher and taught film studies, although he never studied film at all. His strong ability to teach about film purely stemmed from his passion and interest which he’s developed over the years so he can help others to love and appreciate film too; in the same way he’s doing with me. Over the past 4 years of us being together, he’s opened my eyes to a lot more of what’s out there and tried to encourage me not to just watch the biggest blockbuster but to think carefully about the films I see. Life is short, and the majority of the films that I’ve seen were created since I was born! Some of the worlds best films were created in the 100 years before I walked the planet and I’ve not even seen a fraction of them. Even with my mum over the course of my life telling me to watch some of the “Old Classics” that she loves like All About Eve, Whatever Happened to Baby Jane?, Fiddler on the Roof and The Miracle Worker, I still didn’t have an interest black and white movies, or anything dated. I never even gave them a chance – but now that has changed. It must be an age thing, but I do hope to get my children to appreciate ALL films instead of just whatever is new and for children at the time. (This is, obviously, if I do have children in the future). I really appreciate my mum trying with me. Better late than never eh? I’m so intregued by the varying styles of the director and appreciating these differing art forms and I’m slowly learning about the different directors that created the films that I know and love today. I am also always drawn to how production designers approach different films and come up with the most unique and capturing ways to present the film. Moulin Rouge, for example, if it wasn’t for the fantastic production design, I’m not sure it would have the same spark that the film does. One of my all time favourite things is going to the BFI on Southbank, seeing special screenings and previews of films that a regular cinema goer would not see or may not even have heard about. In particular I enjoy the Q&As with film makers, to hear about the process and their thoughts and how the film came to be. I do hope you enjoy reading about my journey. Please let me know if there are any MUST SEE films. I’ll watch them (either for the first time, or again if I’ve already seen them) and write about them. Please let me know your thoughts. The first film I’ll be writing about is All About Eve.